A friend once said to me that she only made "High impact, low effort" recipes. I rolled around that statement in my head and realised that I am much the same. I mean I just hope they're high impact but the equally important thing is that sweet balance of "Wow" with something that is really a cinch. People tend to look at those that pickle as strange earthlings. If you pickle, they make assumptions. Like you have sheep roaming around your backyard and you go out to shear them and then spin their wool to knit a jumper. I am nowhere close to this (I can't imagine our apartment's body corporate allowing sheep to graze among the laundry lines) but I do love pickling. People think that you've gone to a lot of effort and practiced black magic when you give them a jar of home made pickles. The most bountiful time to pickle and jam is during summer when vegetables and fruit grow in wild abundance. If you're lucky, you'll have a neighbour or friend willing to offload a bag of whatever had grown rampant and they're sick of eating. Or at the very least you'll find a great bargain at the market for a vegetable that's ripe for pickling. 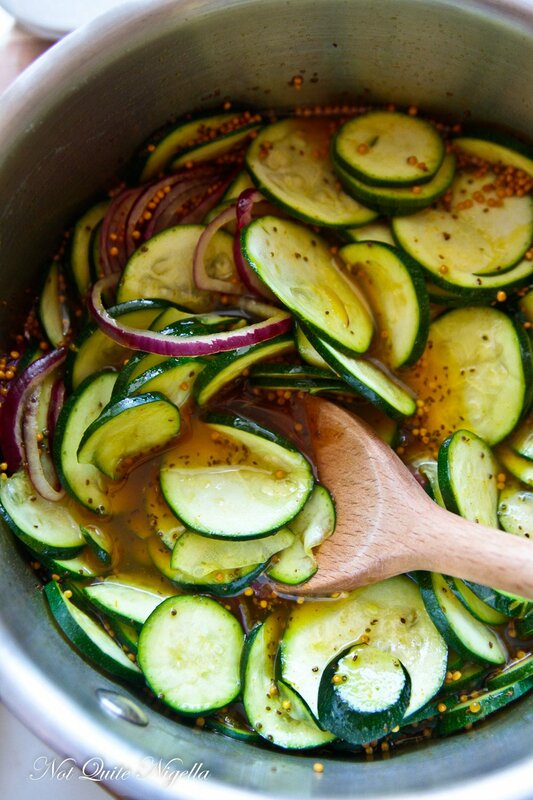 At the moment, zucchini are everywhere and we eat a lot of this mildly flavoured, versatile vegetable. Around Christmas, Dear Reader Jaqi gave me a jar of her mum Gilli's zucchini pickles. I tried them on a sandwich and asked for the recipe straight away. Whilst the recipe does take time, it's really just waiting time. It's not a lot of effort really especially if you have a mandolin. It produces three to four jars of some of the best pickles I've ever made. The pickling juice is also perfect in a salad dressing and the smell of this cooking is an unlikely candidate to start your mouth watering. Pickles? 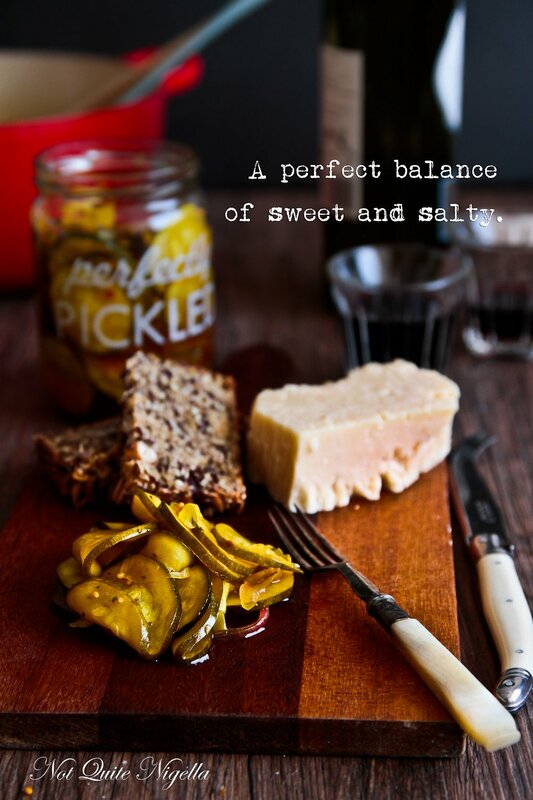 Yes pickles can definitely make you hungry. 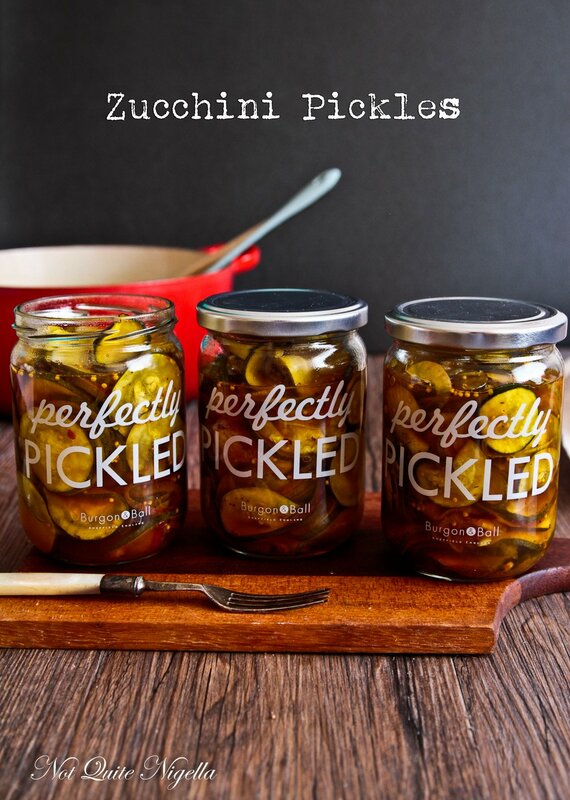 So tell me Dear Reader, do you like pickling and jamming? And do you avoid recipes that have a lot of waiting time? 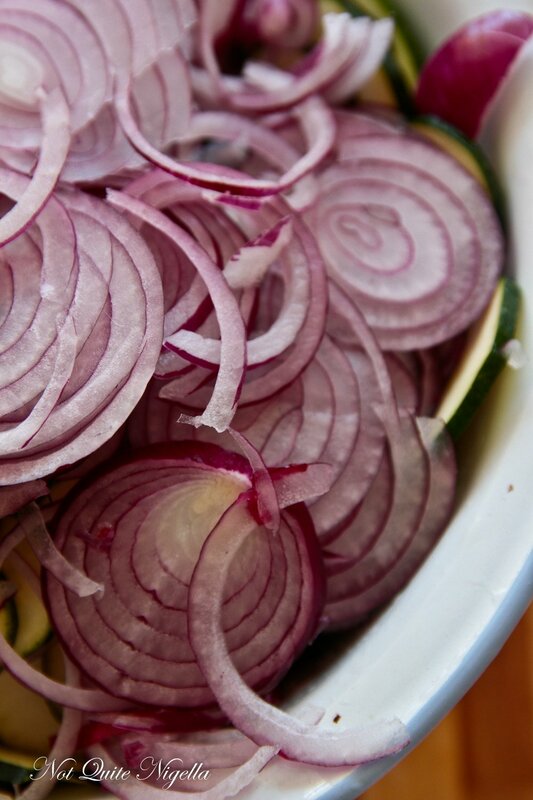 Tip: when dealing with this much zucchini and onions, use a mandolin to slice both as it will save considerable time. Just watch for your fingers! Step 1 - Combine the zucchini, onions and salt and stand for two hours. Rinse well and drain. Step 2 - Mix the vinegar, sugar, salt and spices in a large saucepan with a lid and bring to a boil and simmer for 5 minutes. Add the zucchini and onion and stand for two more hours turning the zucchini over to marinate in the pickling solution. Reheat and boil for just 5 minutes. Step 3 - Cool until warm and place in hot sterilised jars. Seal tightly and turn upside down for 15 minutes. Turn right side up and you should have a seal.